Showing results for tags 'usga'. Hrm. The USGA/R&A announced today that they were reverting to the 2018 Rules of Golf, save for a few, effectively May 1. The Rules that remain: Penalty areas may still include non-water hazards. The terminology will remain. Ties, penalty areas, general area, etc. Replacing a ball that moves for any reason after being marked will be replaced. Players may take an unplayable out of a bunker for two strokes, back on a line. Players may substitute a ball when they're taking relief. Suffice to say this is a massive setback in terms of promoting the "modernized" Rules of Golf. 😞 PGA Tour Whiny Babies: 1, USGA/R&A: 0. Of course… April Fool's Day, goofballs! 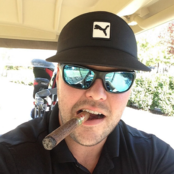 iacas posted a topic in Balls, Carts/Bags, Apparel, Gear, Etc. http://www.usga.org/content/dam/usga/pdf/driving-distance/2018 Annual Driving Distance Report.pdf This is from the press release: LIBERTY CORNER, N.J. and ST ANDREWS, Scotland (Jan. 29, 2019) – The USGA and The R&A have released the 2018 Annual Driving Distance Report, containing driving-distance data from seven men’s and women’s professional golf tours around the world. This is the fourth annual distance report issued by the game’s governing bodies, completed in an effort to monitor current trends in driving distance. The 2018 data show that driving distances on these seven tours increased by an average of 1.7 yards, beyond the previous year’s gain of more than 3 yards. The full report, which can be found via this link, summarizes data provided by the PGA TOUR, LPGA Tour, PGA European Tour, Ladies European Tour, Japan Golf Tour, Web.com Tour and PGA TOUR Champions Tour based on available data at the time of publication. Introduced in 2015, the report includes data starting with the 1968 PGA TOUR season. The average driving distance is typically measured on two holes at each tournament and usually results in nearly 40,000 shots being measured over the course of a season on some tours. The USGA and The R&A continue to be diligent in studying the long-term effect of distance on the game of golf, a global focus first expressed in their Joint Statement of Principles delivered in 2002. In that document, the organizations reinforced their commitment to ensure that skill is the dominant element of success throughout the game, and that all factors contributing to distance would be considered on a regular basis. The 2018 report represents one set of data among the already substantial collection of information currently being studied within the context of the ongoing Distance Insights project, which was launched last May to provide a comprehensive and definitive study of the past, present and future impacts of distance at all levels of the game globally. A progress update on work conducted to date on the Distance Insights project will be delivered by the end of the first quarter of 2019. The USGA and The R&A remain on target to distribute the comprehensive Distance Insights report in the latter half of 2019. USGA Seeking Feedback on Distance "Issue"
Update (9-19-18): https://www.snapsurveys.com/wh/s.asp?k=153511775654 <---- Visit that URL and complete the survey, please! http://www.usga.org/content/usga/home-page/advancing-the-game/distance-insights.html Many of you have shared their feedback here (the topic below), but the USGA is courting it at the URL above: Have at it! The USGA and The R&A Launch Golf's Global Distance Insights Project LIBERTY CORNER, N.J. USA AND ST ANDREWS, SCOTLAND (May 15, 2018) - The United States Golf Association (USGA) and The R&A have launched a comprehensive project to analyze distance in golf and gather perspectives from the worldwide golf community. The Distance Insights project will examine distance through a multi-pronged approach that includes global stakeholder engagement, third-party data review and primary research. Focus groups and discussion forums will play an important role in the project, to secure a broad range of perspectives throughout golf. Beginning today, anyone interested in the topic can provide feedback by visiting usga.org/distanceinsights or randa.org/distanceinsights or by emailing either association directly. “The topic of increased distance and its effects on the game have been discussed for well over a century. We believe that now is the time to examine this topic through a very wide and long lens, knowing it is critical to the future of the game,” said Mike Davis, CEO of the USGA. “We look forward to delving deeply into this topic and learning more, led by doing right by golf, first and foremost.” Martin Slumbers, Chief Executive of The R&A, said, “Distance in golf is a complex issue which is widely debated at all levels of the sport. It is important that we collate all of the relevant data and hear the many different perspectives on this issue that exist in the international golf community. We intend to conduct this process openly, comprehensively and promptly and will work with all of the key stakeholders to ensure we have a fully rounded view of distance and its implications.” Stakeholder groups invited to participate in the project include amateur and professional golfers, worldwide professional golf tours, golf course owners and operators, golf equipment manufacturers, golf course architects, golf course superintendents and others. Among the many topics to be explored, the organizations will seek distance-related data on pace of play, golf course construction and maintenance practices, the evolution of equipment, golf course design and player enjoyment and participation. The USGA and The R&A will engage various golf industry stakeholders through 2018, with plans to deliver a report in 2019. USGA’s Mike Davis turns focus from course set-up to CEO duties | Golf Channel Beginning with this year’s championship at Pebble Beach, USGA CEO Mike Davis is voluntarily stepping away from his longtime lead role in setting up the golf course at U.S. Opens. Good move. Let a guy focus mostly on this, not being CEO and also doing the grunt work of course setup. I'm sure Mike Davis will still have a lot of input, he just won't be the point man in charge. https://www.usga.org/content/dam/usga/pdf/2017/rules-modernization/downloadable-material/Certain Topics or Proposals Not Addressed in the Proposed New Rules of Golf for 2019.pdf That may be one of the easiest to read and best documents out there. It casually bats away a number of assorted complaints and things about "why didn't they change this" or "why can't I drop from a divot hole," etc. I encourage everyone to take ten minutes to read it. The USGA and R&A are hosting a teleconference (I'll take part and may "live blog" it if possible this Wednesday, March 1, at 8:30am eastern time. It's scheduled to last one hour. Purpose: The USGA and The R&A will host a joint media teleconference on Wednesday, March 1 regarding the Rules of Golf Modernization initiative. Participants: Thomas Pagel, Senior Director, Rules of Golf & Amateur Status, USGA David Rickman, Executive Director – Governance and Chief of Staff, The R&A The expectation is that the rules will see massive, sweeping changes that greatly simplify and reduce the number and complexity of the Rules of Golf. Reportedly some of the changes may be: All water hazards will have four options (play it as it lies, stroke and distance, line back from last crossed point, two clublengths). Dropping may be eliminated. Measuring anything via clublengths may be eliminated (it will be interesting to see how that works if so…). Stroke play penalties will apply to match play, with the score coming at the end of the hole. Bunkers will be treated very differently (ability to move loose impediments, possibly take practice swings or ground clubs?) One stroke penalties almost exclusively. Kinder, gentler rules (like the 18-2 Local Rule) that relies more on player integrity to determine intent and fault. DMDs may be acceptable by rule for all rounds. Three (3) minutes for search instead of five (5). Could look very similar to http://simplegolfrules.com/CodeTwo/?showfile=CodeTwo.html minus the "points" system. Remember, those are a list of the rumors and "maybes." We'll know more shortly. It's expected that these Rules will undergo a long comment period, and the USGA/R&A are looking to enact the rules in 2019. The old thread discussing this was renewed again in early January: This will be the topic of record from now on. I'll lock the other thread as it was largely speculative, and in less than 48 hours, we'll have actual information to talk about. Update: 3/2/2017 - https://cl.ly/063A3i0a0q0d There is a PDF of the teleconference call that took place March 1 at 8:30am eastern time. https://www.golfdigest.com/story/this-latest-usga-equipment-decision-might-bring-artificial-intelligence-closer-to-competition The title is "This latest USGA equipment decision might bring artificial intelligence closer to competition" Arccos (and eventually, GAME GOLF) has a "virtual caddy" system that can tell you what club to hit and where to hit it. I don't think the USGA is saying that's allowed. If I read the Golf Digest story, it reads to me that the ability to tell you the yardage is allowed (it's the same as a GPS app)… but the article is written very confusingly. I don't understand how the recommendation "off the tee" is legal (but for an approach shot, it's not?) because "those recommendations can be made before a round begins." What about on the second tee? The round has already begun. It then goes on to say: But that's what the caddy does: offer club selection information/advice. It later adds: Okay… so that means it can't say "you're hitting your clubs shorter today, so instead of a 7-iron here, hit a 6-iron." Fine. That's easy enough. So… Is the "ruling" basically saying the Virtual Caddie, before you begin your round, can make a recommendation for what you should hit off each of the 18 tees before your round? I.e. it can't use information "live" from that round, and it's basically published "before" your round and doesn't change. If so, big whoop. Who cares about that? That's not a "virtual caddy." That's just a tiny bit of pre-planning, and for all you know the course is playing softer or firmer or the wind is in a different direction that day. Am I reading that right? Or did I miss something? The headline and the writeup are not very well done, IMO. http://www.golfdigest.com/story/usga-executive-director-says-variable-distance-ball-could-be-part-of-golfs-future First… Then… Now, I don't see that happening, either. Why would the players voluntarily accept a limited distance golf ball, and how would that even work - the USGA has a list of approved golf balls. Also… reduced distance balls will not affect everyone equally. 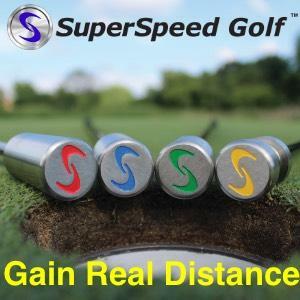 Some players will lose more distance relative to others given different launch conditions, some will have a harder time with the change in spin, etc. I am just using the language from the USGA question, and posting it here for discussion. I added the "In tournament play" precursor, though, because it's like the USGA/R&A don't consider what virtually everyone already does this in casual/recreational play. So… answer as if you're playing in your club championship or something, not about what you'd do in casual play. This is the type of rules change that could still make it into the 2019 Rules of Golf. So, let's discuss it. I voted as you can see above. Most of the time, OB is in a bad area, and I'd rather take my chances hitting a second drive to get into a better spot than to drop in amongst some trees or really close to the margin of OB. To put it another way, I just hit a bad shot… I think I have a good chance of hitting a better shot and lying three than playing from where my bad shot is lying three. Of course, that's in tournament play. In casual play, where I'm not even really keeping score, I just drop a ball and play on. This is for the discussion of this portion of the new Modernized Rules. What is this portion? It's the other proposed changes that didn't make the list of "bigger" changes, like… 10.2B(3) What's 10.2B(3)? Well… http://www.usga.org/content/dam/usga/pdf/2017/rules-modernization/rules-and-definitions-2019.pdf says: YAY! I've been on that one for awhile now. That topic was from 2015, but I'd been in favor of something like that for a long time before that. As last happened in 1984, the USGA and R&A are reviewing the Rules of Golf, top to bottom, end to end, 1 through 34. They tend to do this every 25-35 years or so. They may make sweeping changes. They may decide they pretty much like them as they are. The only guiding principles are… the Principles as outlined in: So, what changes do you think they should make? Why? http://www.golfchannel.com/news/rex-hoggard/playing-percentages-tour-players-look-us-open-purse/ Uhhh, yeah. Good luck with that one, guys. I encourage those who want to respond to read the original article. 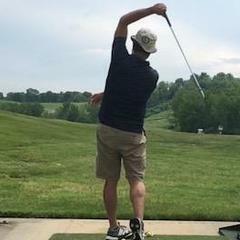 I am playing in the US Mid-AM qualifier, but I need your help. I started this Blog Post a few months back, and well, have achieved my goal with 2 weeks to spare. As of Friday I will be a 2.7 handicap index (down from an 8.6 on May 1st) and I can officially submit my entry form and fee for the US Mid-AM qualifier here in Arkansas. There were 21 players in last year's qualifying event, which has a handicap cut off of 3.4. Here are the results. While shooting 69 on a super tough golf course and making it on the US Mid AM in Pennsylvania would be mind blowing, I just want to have fun and see how it goes. Ill be focused and will prep in any way possible. This is where you come in. What should I do? I've never played in a big time USGA tournament. I've never had a caddie in a tournament round. I was going to pick one of my friends who is a decent golfer, but even more so because he knows my game. I've only started playing "good golf" in the last 2 months....This is a whole new territory for me, so I'm looking for advise, tips, or just some good luck wishes. The first thing I plan on doing is rereading the Tournament Prep section in LSW. I also have a yardage book for the course and have played 3 rounds recently so I am familiar with what is where, a little bit. http://www.golfdigest.com/story/new-usga-randa-study-finds-unremarkable-increases-in-driving-distance-on-pro-tours It looks like driving distance hasn't increases substantially over the past 13 years.